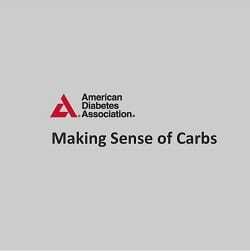 A June 2018 article written by Sacha Uelmen, RDN, CDE, Director of Nutrition at the American Diabetes Association (ADA) sheds much light on the expanded role for low carb diets in the treatment and management of Type 2 Diabetes . Uelmen makes the same point that I did in part 3 of my 4-part series titled Some Carbs Are Better Than Others that “what kind of carb is just as important as how much”. This is something that I explain in detail to each one of my clients when I am teaching them their Meal Plan. I agree with her when she says that “some carbs are better for you than others”. “Refined” carbs refer to foods made with white flour and sugar, such as pretzels, cookies, cakes, and white breads. These foods raise your blood glucose levels quickly, and do not provide much nutritional value. On the other hand, carbs found in vegetables, beans, lentils, fruit, and whole grains break down slower and are packed with fiber, vitamins, and minerals that provide many health benefits. Mechanical processing of a food doesn’t change the amount of carbohydrate that is in it. That is, when we compare 60g of whole apple with 60 g of pureed apple or 60g of juiced apple, there is the same amount of carbohydrate each. When we compare the Glycemic Index of these three, the results are very similar so this isn’t very helpful to tell us about the blood glucose response to actually eating these different foods. When these foods are eaten, the blood glucose response 90 minutes later is significantly different. In the ADA article, Uelmen explains that legumes and whole grains “break down slower” than “refined carbs” such as those made with white flour, but fails to mention that ground beans and lentils or grains will result in a much higher release of glucose and much quicker than legumes or grains that are whole and intact. As well, how they are cooked and for how long will also affect how quickly they release blood sugar. You can read more about that in this article. In short this means that hummus will not have the same effect on blood sugar as the same amount of whole chickpeas. As well, what most people consider “whole grain bread” (i.e. whole wheat bread) has the same Glycemic Index (GI) and Glycemic Load (GL) as white bread. That is, they will both raise blood sugar just as quickly. “Whole wheat bread” is what most people think of when they hear “whole grain bread” and whole wheat bread has a Glycemic Index of 74 ± 2 and white bread isn’t much worse at 75 ± 2. Compare these to the GI of whole grain rye bread which is 53 . One slice of white bread has a Glycemic Load of 10 and so does one slice of whole wheat bread, but the GL of a real whole grain rye bread is much lower at 7 . Breads made with the whole intact grain or grain that is only coarsely cracked, such as German-style pumpernickel are very different than the “whole grain” bread available in most supermarkets and affect blood sugar much less. “Try to spread them [the amount of carbs] across your meals and snacks throughout the day based on your personal carb goal”. …but there are two things that she fails to mention. The first omission is that when carb-based foods are eaten at a mixed meal along with fat, they will raise blood sugar significantly more than at meals where carb-based foods are eaten without fat. This is due to the combined effect of carbs and fat on the incretin hormone GIP, from the K-cells. As well, carbohydrate-based foods will spike blood sugar much less if they are eaten at the end of the meal, after protein and fat foods. Secondly, Uelman omits to mention that eating snacks (which are really just smaller meals) frequently results in an overall greater amount of insulin being released than if one eats larger meals less often. When one is trying to lower insulin resistance, eating snacks between meals makes things worse than eating the same amount of food over three (or two) meals. You can read more about both of these in part 2 of The Perils of Food Processing. If people are normally eating 200-300 g of carbohydrate per day, starting a “low carb diet” at 130 g per day will provide significantly better blood sugar control, if the carbs that are selected have a minimum of food processing (grinding) and cooking. Then, carbohydrate amount can be lowered as needed to help achieve clinical and metabolic outcomes. I’m not sure where she arrived at the idea that eating low carb requires people to devote more time to meal planning. When meals center around a protein food and low-carb veggies — with a few nuts or seeds or cheese thrown in, they are super easy and fast to cook. I agree with Uelmen that for people following a “strict low carb eating pattern, such as the ketogenic (keto) diet” require regular visits to their doctor, but not for the reasons she lists. Yes, a doctor can run tests to check for vitamin or mineral deficiency, however when a Meal Plan is done by a Dietitian that knows how to design a well-formulated ketogenic diet, it takes into consideration adequate intake of vitamins and minerals. Low nutrient intake is likely going to be less of an issue than when the person was eating a Standard American Diet. That said, people following a low carb or ketogenic diet do require regular visits to their doctor IF they are taking any medications that lower blood glucose or blood pressure. Please read this article if you fall in this category. …and this is excellent advice! Her second recommendation is that if people need more help following a low carb or ketogenic diet that they should find a Registered Dietitian with RD or RDN credentials to help them. At present, Diabetes Canada 2018 Clinical Practice Guidelines continue to recommend that those with Diabetes still eat ~half or more (45% to 65%) of their daily calories as carbohydrate and limit dietary fat regardless of its source to 20% to 35% of daily calories. Both Americans and Canadians based their dietary recommendation on the exact same Dietary Reference Intakes (DRIs) yet the American Diabetes Association does not hold rigidly to the Acceptable Macronutrient Distribution Ranges (AMDRs) for macronutrients as a percentage of total energy for Diabetics; which are 45% to 65% of energy as carbohydrate, 10% to 35% of energy as protein and 20% to 35% of energy as fat. What I don’t understand is why Diabetes Canada continues to recommend that Diabetics keep following the same macronutrient distribution (percent of carbs, protein and fat) as the general population when the American Diabetes Association now supports both low carb and ketogenic (keto) diets for Diabetics? Both Diabetes Canada and the ADA freely admit that carbohydrate-containing foods have the biggest impact on blood glucose compared with foods high in protein and fat, so why are American Diabetics supported in their desire to follow a ketogenic diet, but not Canadian Diabetics? Or is it just that the Canadian recommendations haven’t yet caught up with the American recommendations? If you have questions as to how I can help support your preference to follow a low carb lifestyle, please send me a note using the “Contact Me” form on this web page and I’ll reply as soon as possible.